The Oxpeckers Fellowship Project won the prestigious SAB EnviroMedia Award for Print and Online in October 2014 – just one year after the project was launched. 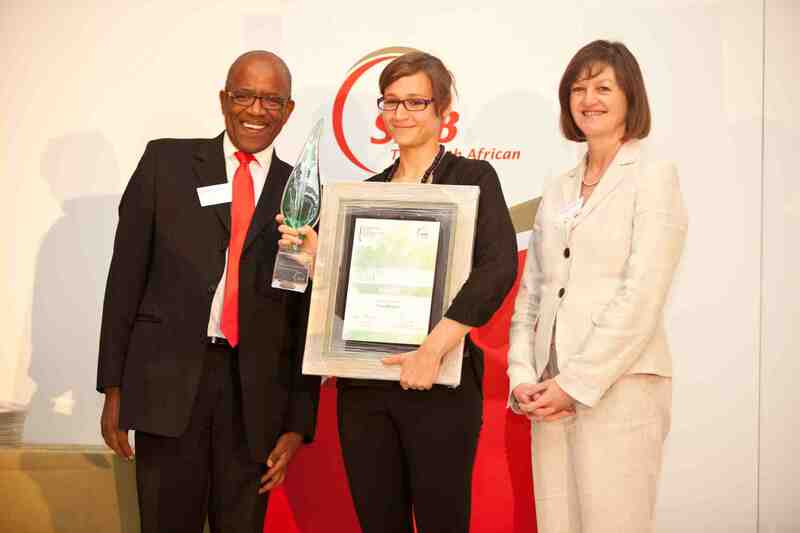 At the 26th annual SAB EnviroMedia Awards on October 22, the judges singled out Oxpeckers founder and editor Fiona Macleod as “the environmental journalist who is judged to have contributed the most in terms of consistent and excellent environmental journalism over the past year”. They described the Fellowship Project as “a very interesting departure from conventional journalism” and as “South Africa’s pioneering attempt to facilitate collaborative journalism on an international scale”. Oxpeckers reportage combines traditional investigative journalism techniques with data analysis and geo-mapping tools. It stimulates transnational investigations and networks through Oxpecker Fellowships. The winning entry was a case study of the Fellowship Project: a collaboration in late 2013 that brought together Mozambican journalist Estacios Valoi, Chinese journalists Hongxiang Huang and Hongqiao Liu, and Namibian journalist John Grobler. The investigations exposed rhino horn and ivory smuggling networks in Southern African and Asian countries. Exposés were featured in regional and global publications, including the Mail & Guardian, China Dialogue, Le Monde, Wildlife Extra, China Africa and African Sentinel. In their citation, the judges remarked that “the revelations by two journalists from China and others from South Africa, Namibia and Zimbabwe regarding Chinese immigrants and the rhino horn trade should have been picked up by other newspapers”. The judges highlighted the fact that in July last year Oxpeckers found four online trading websites that published more than 40 000 illegal wildlife selling points in one province in China alone. “Oxpeckers also found one can buy rhino horn and ivory at any time at Johannesburg’s Bruma Lake,” they said. The SAB EnviroMedia judges for the Written Media: Print and Online Award in 2014 were Mbaweni Manqele, Verashni Pillay, James Clarke, Darren Smith and Dr Mpho Chaka. They said the standard of entrants this year “was of an incredible calibre”. The Oxpeckers Centre for Investigative Environmental Journalism provided support for the Fellows, training, leads and publishing outlets. Sponsorship for the project was provided by the African News Innovation Challenge, the Wits China-Africa Reporting Project and the Forum for Investigative African Reporters.